The Slab module offers a high degree of flexibility for generated reinforcement solutions. 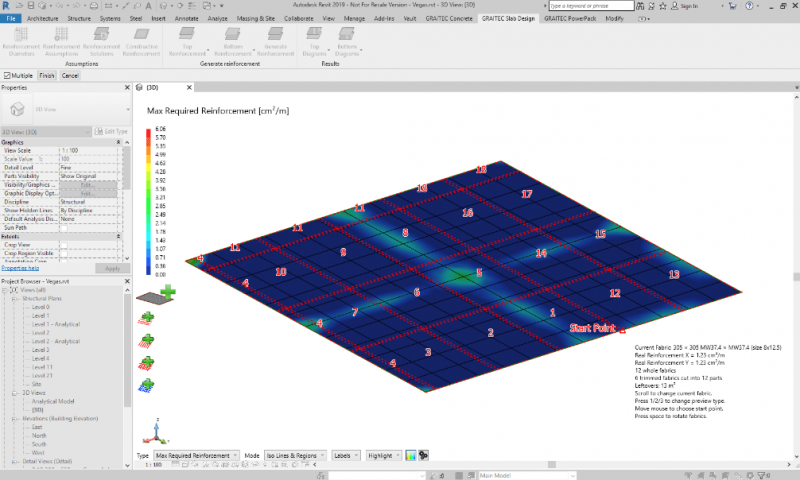 The software provides various options of reinforcement modeling for rebar meshes placement, from which users can choose the most suitable one in terms of safety and cost efficiency. The “interactive edit” tool allows the user to manually select and customize specific areas in the automatically generated reinforcement cage. The user has to import the slab model containing the theoretical reinforcement area which has been previously calculated by other software such as Advance Design or Robot©. Based on imported information, the Slab module generates a reinforcement cage using a specific multilayer method while complying with international standards, Eurocode norms as well as national legal provisions. The BIM Designers Slab module can automatically generate a reinforcement cage for a slab whose theoretically reinforcement area wasn’t calculated before importing the model or for a slab which has been modeled directly in Revit. The generated cage will follow the minimal requirements imposed by codes and norms. Using the “interactive edit” tool and the effort diagram, the user can manually customize the entire rebar cage which was previously generated automatically. Users can also select specific reinforcement cage areas that can be modified based on the project’s needs. We’ve made the reinforcement placement interactive by using real-time graphics, in order to provide users a practical and intuitive way of visualizing the impact of their modeling choices on the overall structure. For example, this last workflow can be particularly useful when users want to check if the slab model meets the standard and norm provisions after they have defined smaller bar diameters, greater spacing between bars, changed the number of bars, and so on. 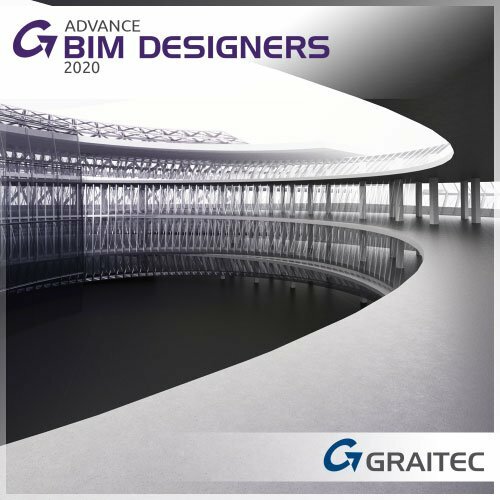 The Graitec Advance BIM Designers Wall module quickly provides reinforcement solutions for slabs, based on standards and codes, in a software environment that offers powerful interactive tools which enable a high degree of flexibility in designing slab reinforcement cages.